With a perfect balance of history, culture and wildlife, this Panama tour offers the ideal introduction to this small but varied country. 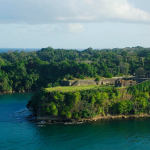 This journey of discovery takes travellers to lush rainforests, along highland hiking trails and through the historic pirate towns of the Caribbean coast. There is also the opportunity to get acquainted with local communities during a chocolate tour and to spend time exploring Panama’s pristine Caribbean beaches. This tour of Panama also includes breathtaking panoramic views of both unique landscapes and spectacular cityscapes. This is a private tour and you will be accompanied by an English-speaking local guide for all the excursions. Most activities and excursions in this Panama tour are private (only for you). The price displayed is per person based on four people sharing. All tours can be tailor-made to suit your interests and requirements. The Isthmus of Panama, formed almost 3 million years ago, joined North and South America but separated the Pacific and Atlantic Oceans. Panama has long enjoyed a privileged position in the world, not least in its role as a land bridge for a for a variety of living organisms, including humans. Today, Panama and its famous canal are of huge strategic importance as a thoroughfare for global trade and commerce. Completed by the US over a hundred years ago, the canal continues to be one of the world’s busiest shipping lanes as well as an important source of revenue for Panama. Although Panama is a relatively small country, its regions are both culturally and topographically varied. The Panamanian people are the result of a melting pot that started centuries ago, with roots in nearly every continent. This has led to a nation with many different flavours, sounds and colours that translate into diverse gastronomy, fashion, languages, customs and traditions. Panama is a land full of surprises waiting to be discovered. On this Panama tour, you will find yourself immersed in all these elements that make the country such an exciting and varied holiday destination. The adventure starts in Panama City, the only large and modern city of the country. The capital benefits from an amazing contrast of architecture, from modern skyscrapers to colonial era buildings, and offers visitors many unique experiences. You will be able to enjoy the entire cityscape from the summit of Ancon Hill and get acquainted with the historic quarter of the city, which dates back to the late 1600’s, during a city tour. Your first journey away from the capital will be onboard the earliest ever railroad to join two oceans. From the comfort of the train, you’ll be able to enjoy the spectacular landscape at the heart of the Panama Canal watershed all the way to the Caribbean coast. Here you’ll visit the sleepy town of Portobelo, once one of the most important ports of the Caribbean, as well as a colonial era fort. The next day, you’ll be able to explore another defensive fort built by the Spanish, the UNESCO World Heritage Site of Fort San Lorenzo. The fort provides expansive panoramic views and you will be able to further enjoy its lush rainforest surroundings on a hike through San Lorenzo National Park. You’ll also be able to learn all about one of the world’s most famous and important canals during a visit to the Panama Canal Visitor Center and the new Locks of Agua Clara. This Panama Tour then takes you off into the country’s highlands to experience yet more awe-inspiring landscapes. After a 45-minute domestic flight, you’ll reach the western province of Chiriqui. Your first highland adventure will be a 5km hiking loop through a cloud forest that includes five skywalk bridges and many a treetop view. Next stop is Baru National Park, where you’ll be able to feast your eyes during a hike along ‘Los Quetzales’ trail, which is said to be one of the most scenic trails in Central America. The hike offers plenty of opportunity to spot different species of trees, birds and animals. The final days of your Panama adventure are spent enjoying its pristine white sand beaches. 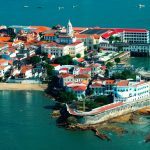 But first, you will need to cross the continental divide on a scenic road trip that takes you from the highlands all the way to rainforest and the Caribbean Sea. Before heading to the idyllic archipelago of Bocas del Toro, you will have time to learn about chocolate from bean to bar during a tour of a cacao farm managed by an indigenous community. After a delicious tasting session, you will head to an ecolodge on a small Caribbean island for the final two nights of your stay. There is plenty to keep you busy, from nature trails and water sports to hammocks, or just relaxing on the beautiful beaches. After your flight to Panama City, a local representative will be waiting to greet you at airport. You will then be transferred to a charming and well-located hotel in Panama City. Get ready for a private, half-day excursion. The largest volcanic body of Panama City is Ancon Hill, and it is here that the adventure begins. Today, the largest national flag of the country waves at the summit as a symbol of Panamanian sovereignty over the former Canal Zone. The summit also provides an extensive panoramic view of the modern city, the bay, the old quarter and the Panama Canal. During an easy 30-minute walk up to the summit, you will find yourself surrounded by lush tropical rainforest with chances to spot wildlife. Later, you’ll continue your tour with a visit to Casco Viejo (the old quarter), which dates back to the late 1600s. Free afternoon and evening. Today you will enjoy a private day-trip, to see the spectacular landscape at the heart of the Panama Canal watershed from the comfort of a train, on the first ever railroad to join two oceans. 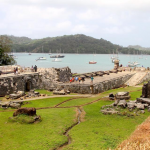 Upon your arrival, the tour continues with a road trip along the Caribbean coast to the charming little town of Portobelo. It is hard to believe that this sleepy little town was once one of the most important ports in the Caribbean! During the early 17th and late 18th centuries, the Port of Portobelo was used as a Spanish fortress and as a Caribbean terminal. After visiting the town, you will board a boat to discover the pristine white-sanded beaches of the area. You’ll have the opportunity to relax on the beach or explore the magnificent underwater world and its coral reefs during a snorkelling excursion. Tonight you stay at a well located hotel in Colon. Fort San Lorenzo is a UNESCO World Heritage Site that was built by the Spanish at the mouth of the Chagres River. The fort was built to protect one of the key routes to Panama City. During this private day-trip, you will be able to learn about the interesting history and enjoy extensive panorama views of the fort. We will then go on a hike through the lush rainforest within San Lorenzo National Park. On the way out of the park, we will stop for lunch in a local restaurant. Later, we’ll visit the Panama Canal Visitor Center and the new Locks of Agua Clara, where larger vessels are accommodated since 2016. Afterwards you will return to Panama City by private car. Free evening. After breakfast, transfer to the airport for a 45-minute flight from Panama City to David, located in the western province of Chiriqui. You will be met by a member of the local team who will transfer you to your hotel in the charming highland-village of Boquete. In the afternoon, your adventure starts with a 25-minute drive down into the valley. Upon arrival, you will be given a briefing by an expert about the breathtaking 5km loop that will take you over 5 skywalk bridges ranging from 1,600 to 1,800 meters above sea level. Free evening back to Boquete. Los Quetzales trail is said to be one of the most scenic trails in Central America and lies within the limits of Baru National Park. Get ready for a private half-day excursion! With a local guide, you will leave your hotel in Boquete after an early breakfast and head to the ranger’s station in the park, from where you will start the hike. 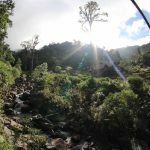 Your walk will take you through breathtaking landscapes at varying altitudes and there will be plenty of opportunities to spot a variety of trees, plants and bird species, including the elusive Resplendent Quetzal and the Three-wattled Bellbird. 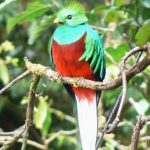 (The quetzal watching season goes from February to July). Free afternoon and evening back to the hotel. 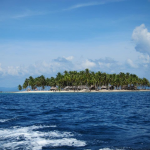 After breakfast, you will go on a 3-hour scenic road trip and cross the continental divide on a journey that takes you from highlands to lowlands and the rainforest of the Caribbean archipelago of Bocas del Toro. Upon your arrival at Almirante, you will visit a cacao farm to learn about the whole process of making craft-chocolate. The tour is given by one of the most representative indigenous ethnic groups of Panama: the Ngäbe-Buglé, and you will follow the cacao bean from its harvesting to its roasting and end the tour with a delicious chocolate tasting session. 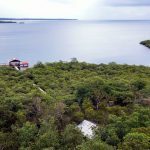 Afterwards, you will go on a short boat ride to reach Tranquilo Bay, an ecolodge located in the rainforest overlooking the Caribbean Sea and beautiful mangrove swamps. Free rest of the afternoon and evening at the ecolodge. Today you will be able to enjoy the amazing surroundings as you please. 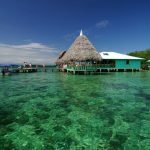 Bocas del Toro offers many options for activities and adventures that are included in your stay at Tranquilo Bay ecolodge: snorkel the coral reefs, kayak the bay, go surfing or fishing, join a nature tour, go hiking or simply relax on the gorgeous white-sand beaches. Even the second-floor balcony offers stunning views of the jungle and ocean, and is a perfect spot for wildlife watching! After breakfast, enjoy more activities in the ecolodge. At scheduled time, you be transferred to Bocas del Toro airport (less than 20 minutes) for your flight back home or to your next destination. Or take a shared transfer to Puerto Viejo in Costa Rica (approx. 4 hours, including time to cross the border). Your passport is required at time of booking. For information on visa requirements, immunisations and health formalities please visit the FCO Travel Advice Website or the US Travel Advice Website (direct links to Panama’s page). 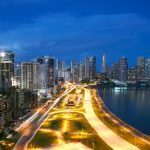 This tour of Panama, like most of our adventures through Latin America, has a low to mid level of physical difficulty and participants can choose to do as much or as little as they like. What to bring: Travel insurance, passport, binoculars, alarm clock, walking shoes, water bottle, daypack, sun protection, insect repellent, sun glasses and hat, swimwear, flip-flops, torch with extra batteries, comfortable light cotton shirts with long and short sleeves, comfortable trousers made of cotton or a light synthetic material (bring at least two sets of light clothes which can be washed and dried easily), shorts, rain coat, dry bag / ziplock bags for valuables, and waterproof cover for your luggage in case of rain. What is included: Domestic flight. Welcome reception at the airport. Private transfers. Accommodation and entrance fees to sites of interest, museums and national parks mentioned in the itinerary. Guided activities and excursions with English speaking guides (some private, some as part of a small group). Meals as stated in the itinerary (B= Breakfast, L= Lunch, D= Dinner). What is not included: Flights from your country of origin and departure taxes. Travel insurance. Alcoholic drinks. Additional meals or snacks. Travel within and around each town. Visa fees (if any). Tips. Souvenirs. Optional activities. Meals not specified in the itinerary. Personal equipment. Extras in hotels (laundry, phone calls, room service, etc.). Tagged as active, adventure sports, bird-watching, boating, cultural heritage, ecolodge, family-friendly, honeymoon, indigenous peoples, jungle, sightseeing, unspoiled beach, volcanoes, wildlife.